As if Google doesn’t have a stronghold on tech culture enough, they are now making strides in a new genre… higher education. With Information Technology (IT) jobs becoming more prevalent in today’s working culture, Google has decided to create curriculum that will help those interested in acquiring the necessary education to get into the profession. And, with entry-level roles expecting to receive an average of $52,000 in annual salary; there is an undoubted increase in interest in these positions! 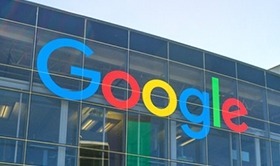 In January, Google began offering an online certification program that will allow aspiring IT professionals to begin their path to entry-level IT support roles. It is being reported that, as of May, there has been over 40,000 people who have enrolled in Google’s certification courses. Plus, with significant professional growth expected, this number of enrollees is expected to continue its meteoric rise. In fact, it is projected that IT support roles make up about 150,000 job openings across the country. In terms of the course itself, enrollees are can complete between 8-10 hours per week on course material over five courses. 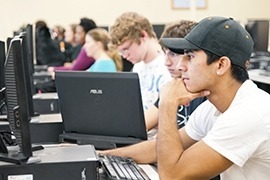 At that pace, students can expect to complete the certification in roughly eight months. In terms of program cost, most enrollees are expected to have to pay just $49/month through online educator, Coursera. However, there are select situations where your company or college might be a partner with this program, which could lead to reduced rates or even free tuition. So, if you are interested in this program, do your research! Google’s attempt to influence the workplace has been well-received and hasn’t gone unnoticed from major universities. With the effort expected to cost Google $1 billion, Google is not at all taking lightly the importance of entering into the skills and education industry. Major university partners are being rolled out in the following states: Illinois, Michigan, Ohio, Wisconsin, Texas, California, and New York. Only time will tell how successful this program will be, but in the first half of 2018, it has been an incredible success. In addition, with the increased importance of technology in the workplace, IT support is not going anyway anytime soon!